WUFI® is a family of software products that allows realistic calculation of the transient coupled one- and twodimensional heat and moisture transport in walls and other multi-layer building components exposed to natural weather. WUFI® is an acronym for Wärme Und Feuchte Instationär—which, translated, means heat and moisture transiency. WUFI® software uses the latest findings regarding vapor diffusion and moisture transport in building materials. The software has been validated by detailed comparison with measurements obtained in the laboratory and on IBP’s outdoor testing field. The various versions of the WUFI® software family perform coupled heat and moisture calculations under local climate conditions and for materials, multilayer components, and even whole buildings. Through WUFI® simulation of heat and moisture transport, users can, while still in the planning phases, optimize designs and identify risks and problems. The fundamentals required for practical application of heat and moisture transfer calculations and the application of WUFI® software for building physics investigations are presented in numerous publications by staff at the Fraunhofer Institute for Building Physics (IBP) and by other institutions. The numerous examples of applications that use WUFI®, together with many publications on the topic of hygrothermics, are located here. 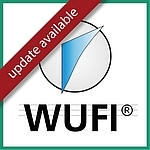 This link leads to numerous instruction manuals and handbooks for users who are just starting with WUFI®, as well for advanced users with specific questions. The Fraunhofer Institute for Building Physics offers general workshops on WUFI® at regular intervals. There is one workshop for WUFI® beginners and for those with a general interest in WUFI®, and there is another workshop for existing users who want more advanced training. There are separate workshops that focus on WUFI® 2D, WUFI® Plus, and WUFI® Passive. Since WUFI® developers themselves teach the workshops, a high quality experience can be expected.